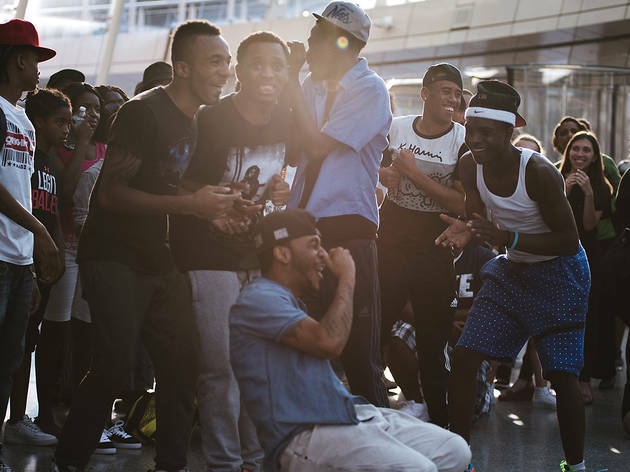 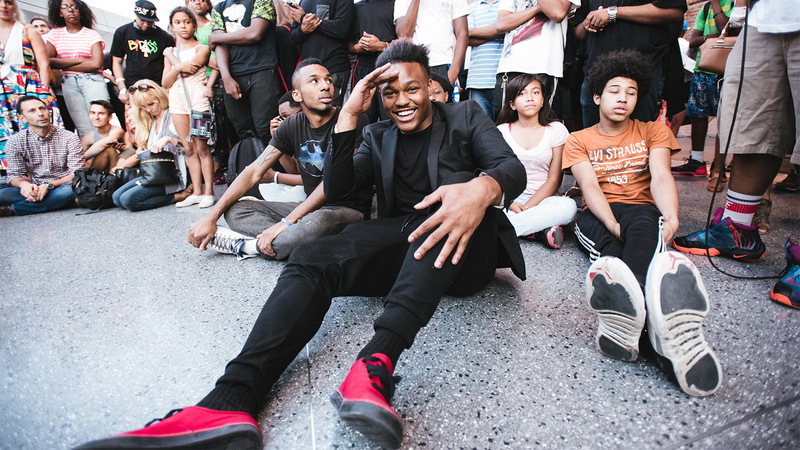 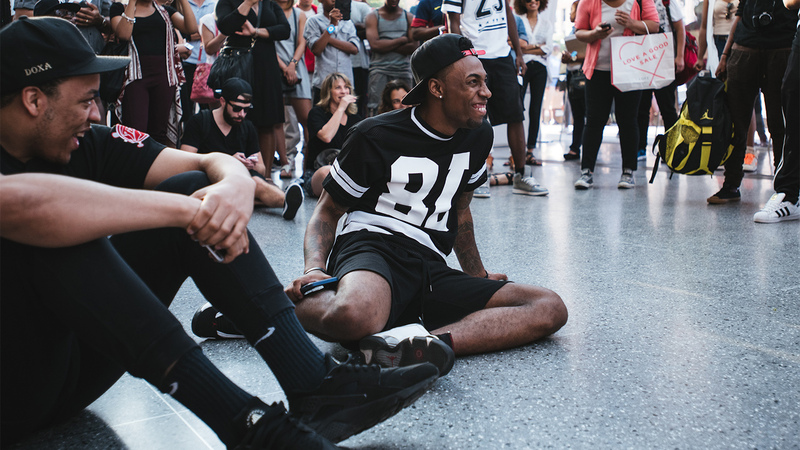 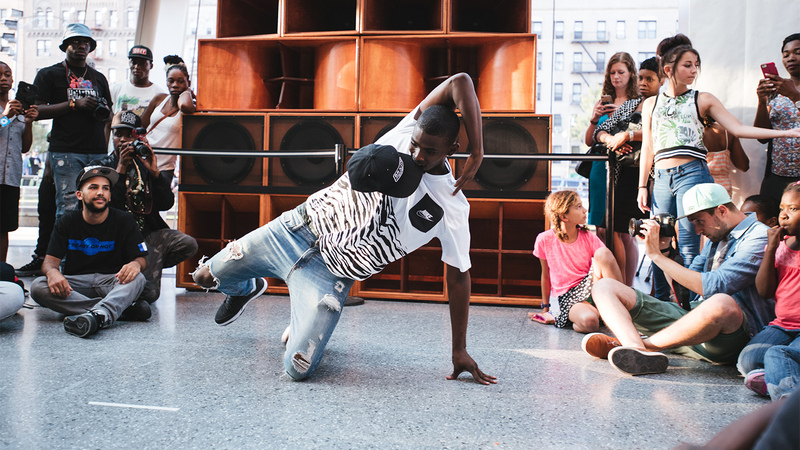 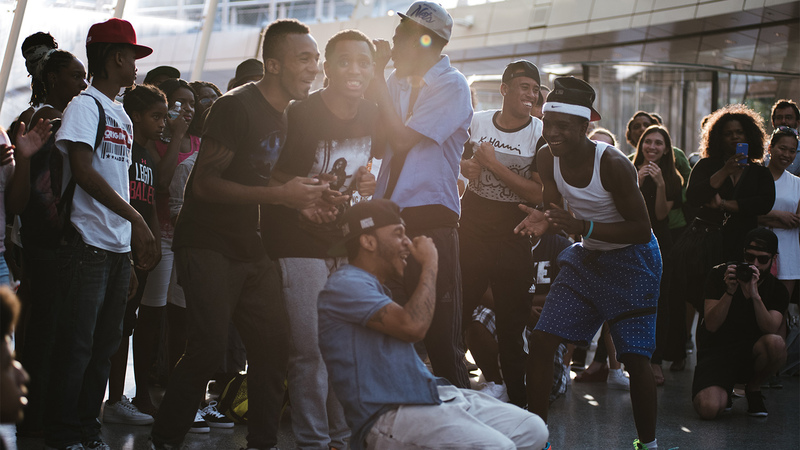 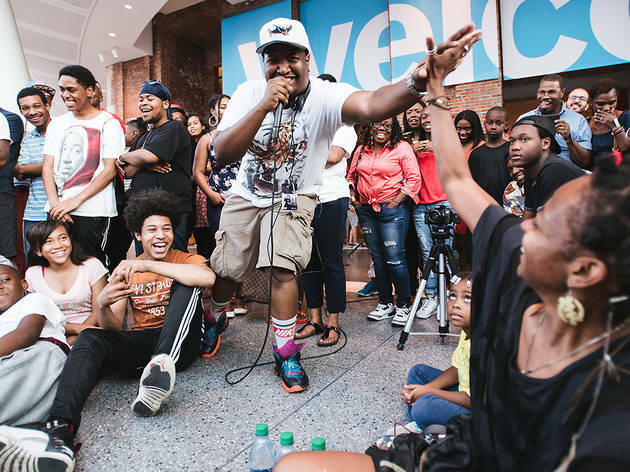 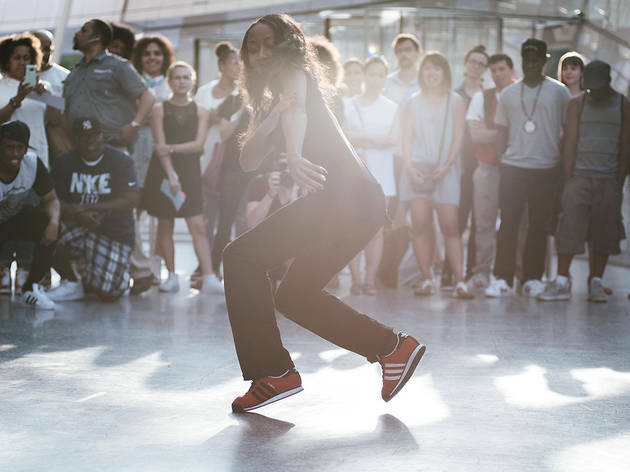 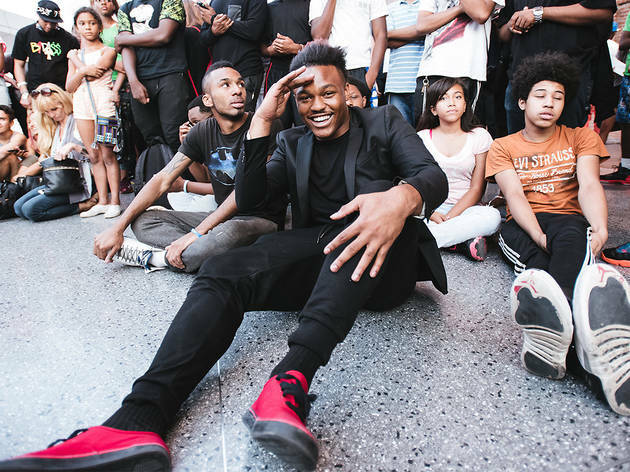 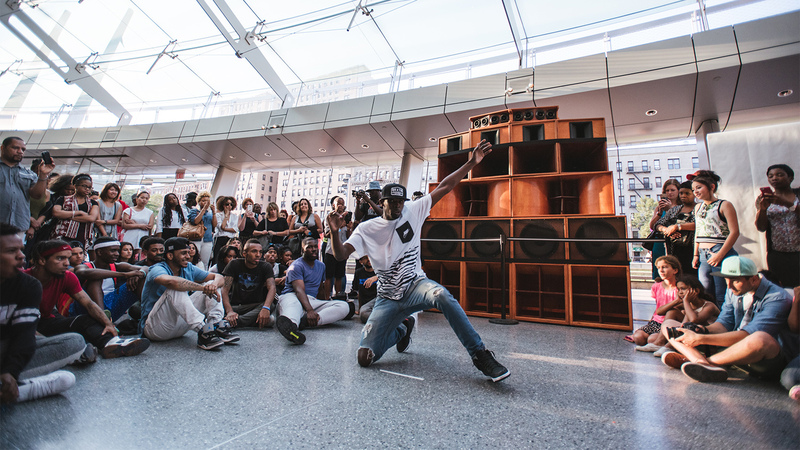 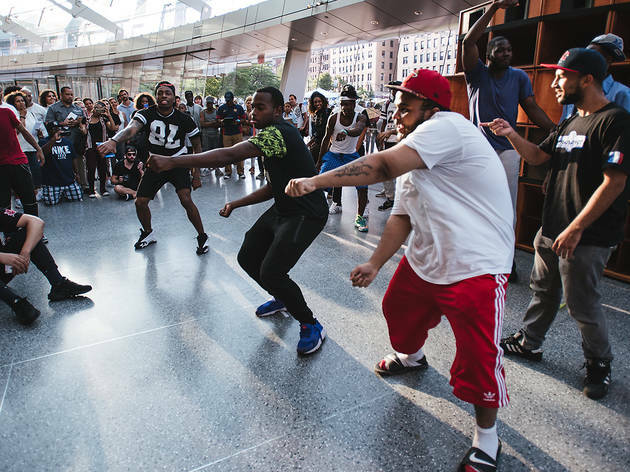 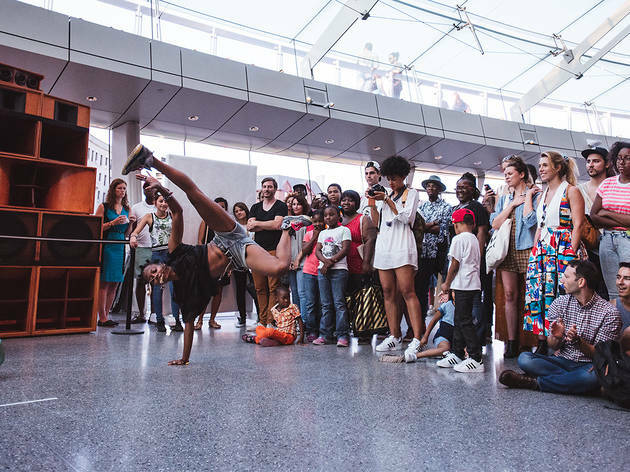 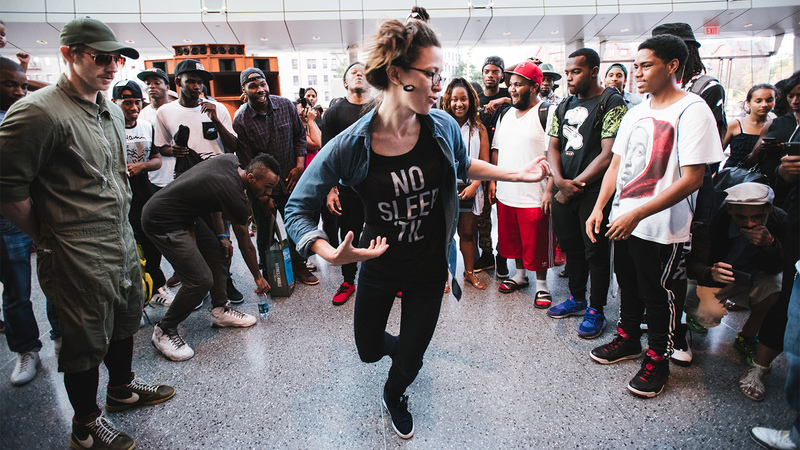 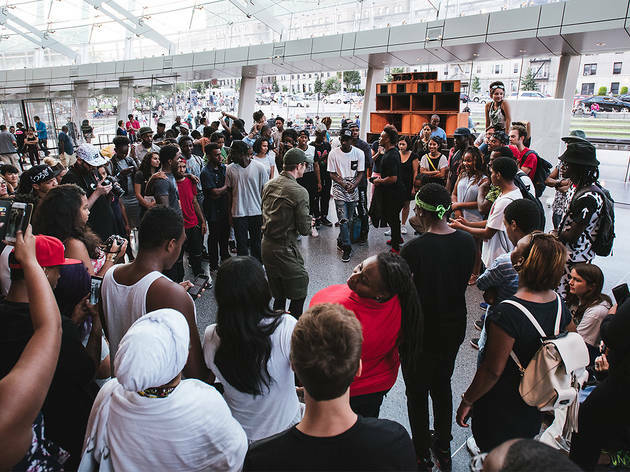 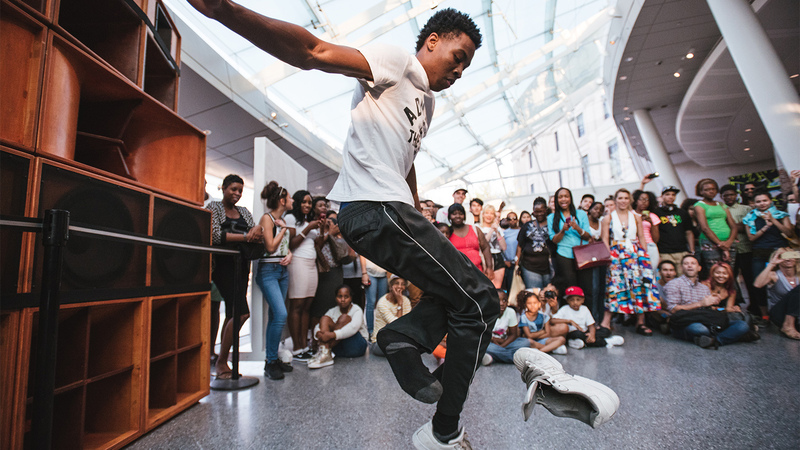 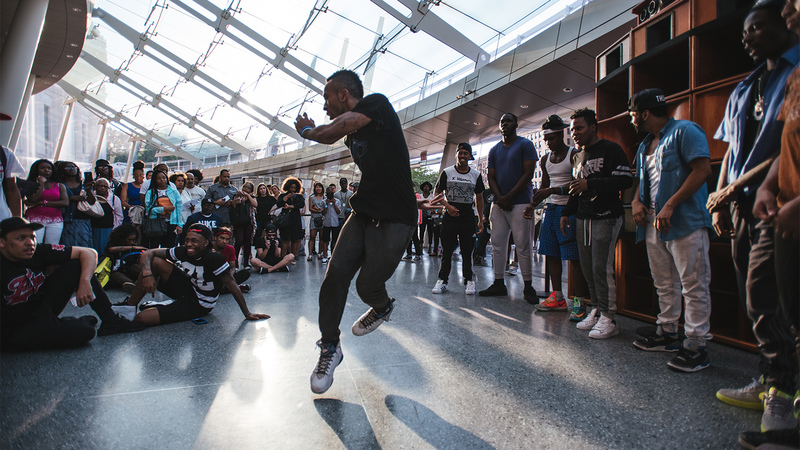 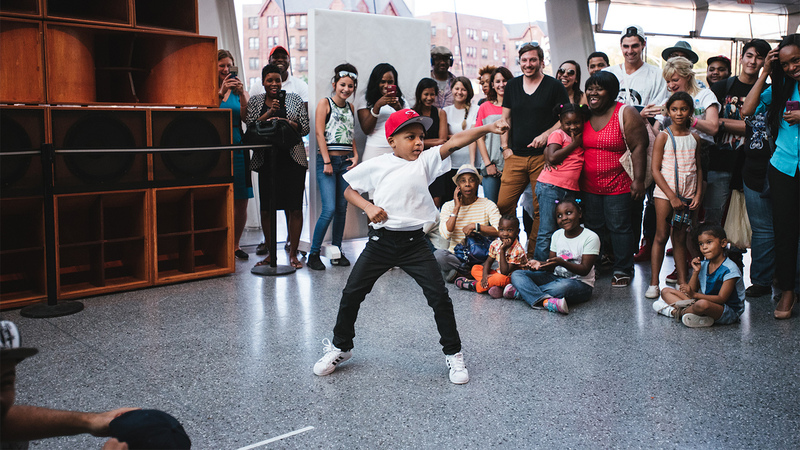 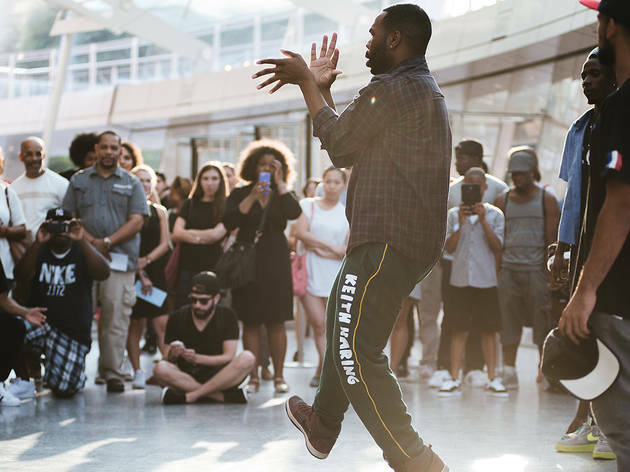 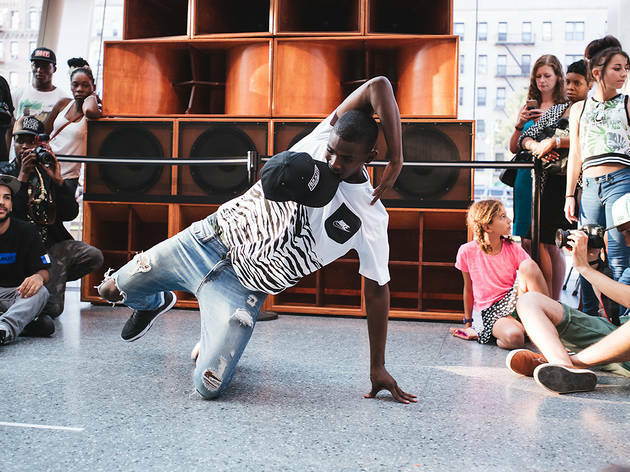 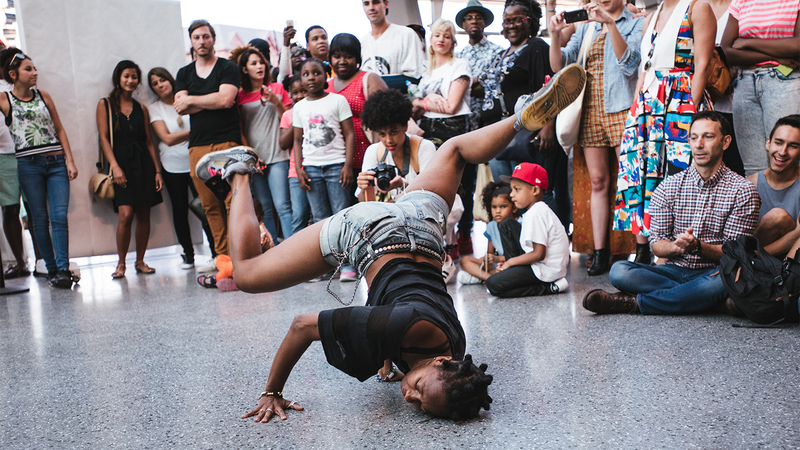 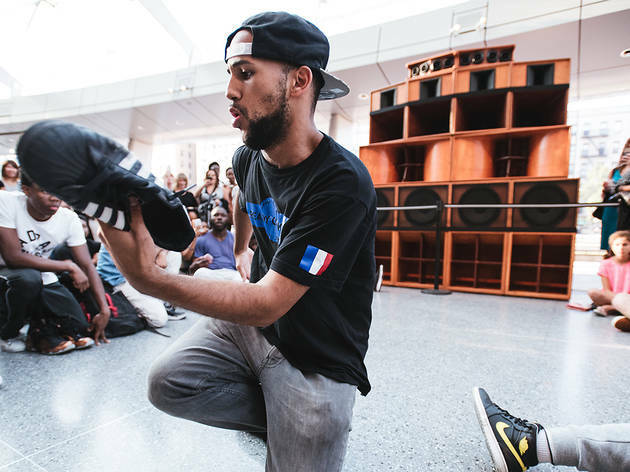 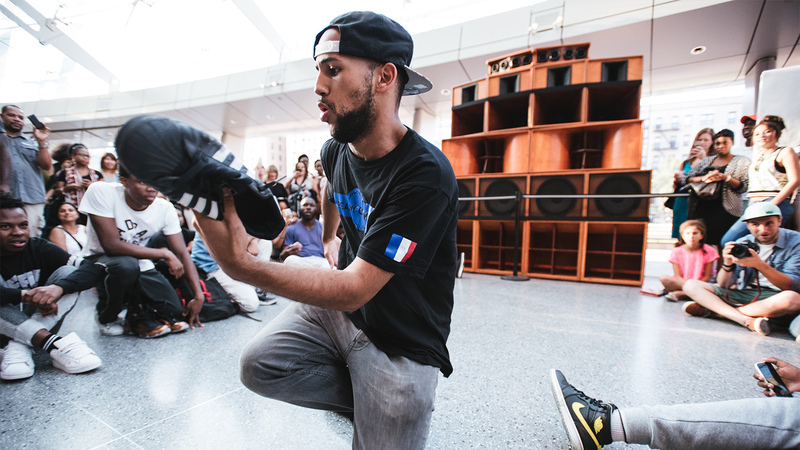 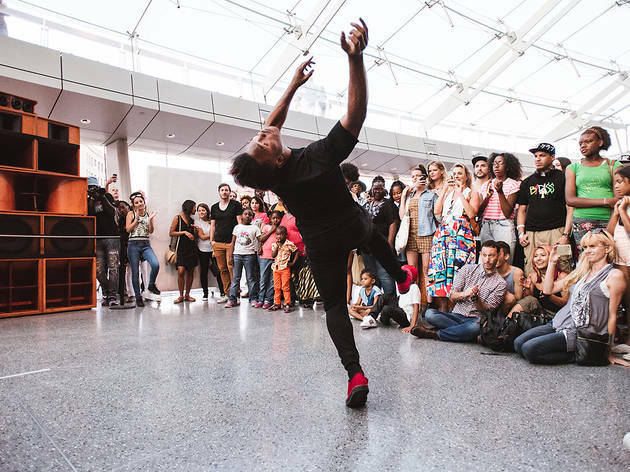 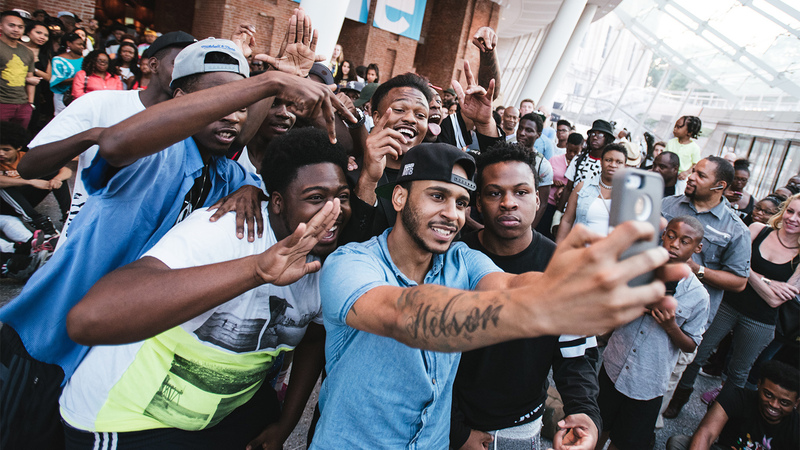 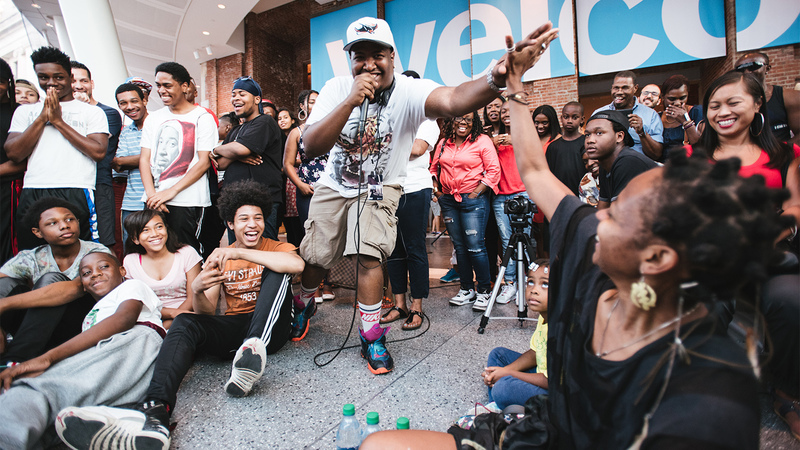 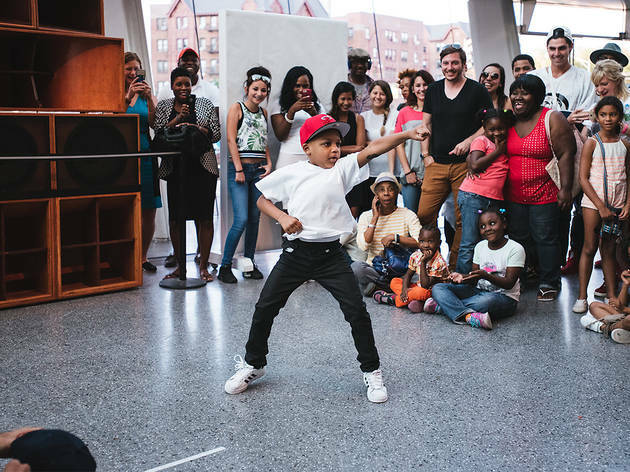 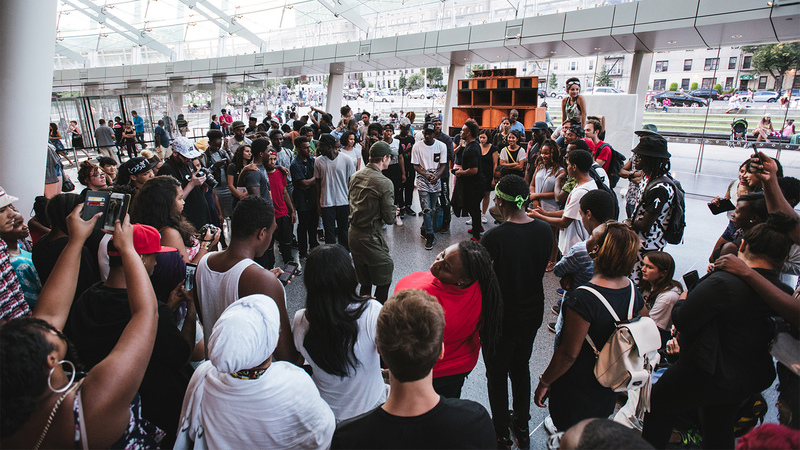 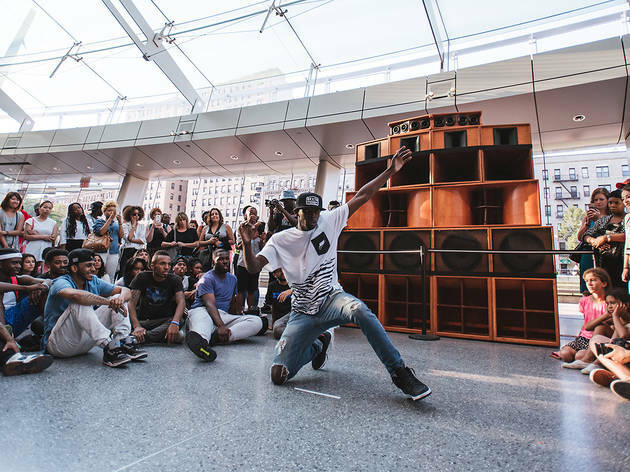 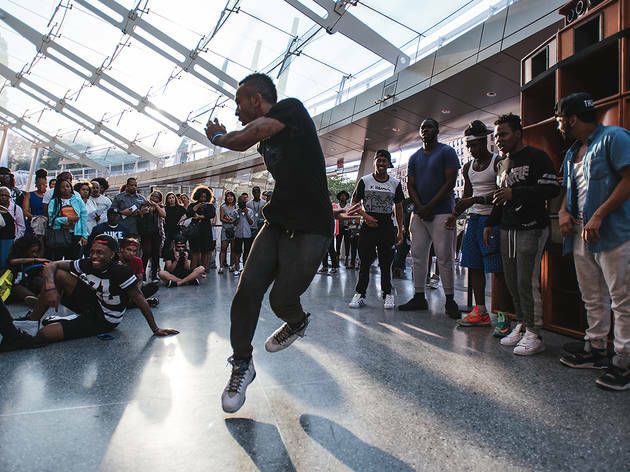 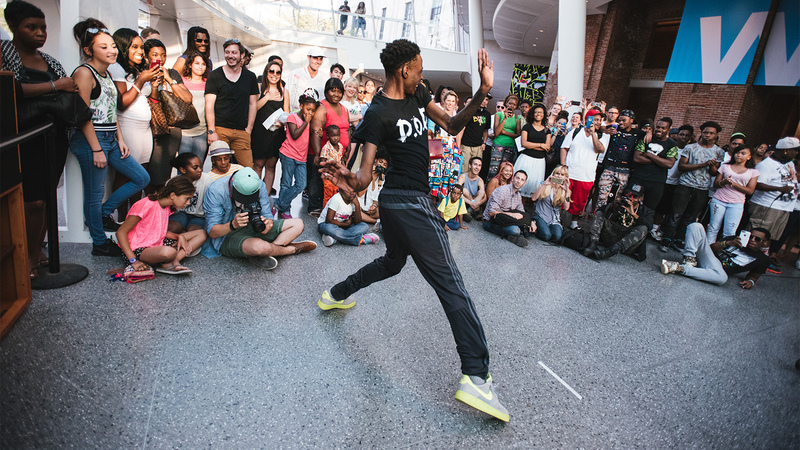 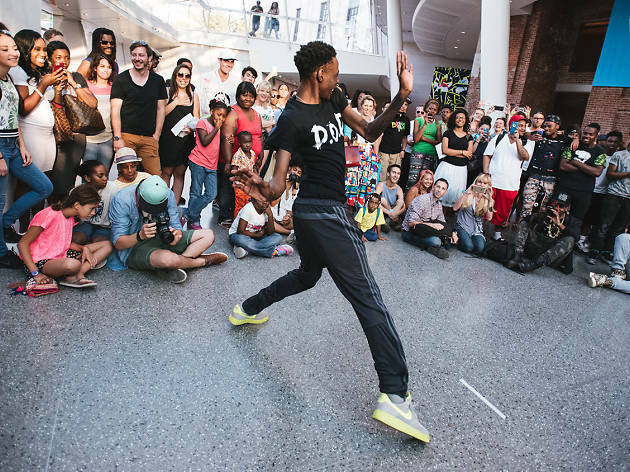 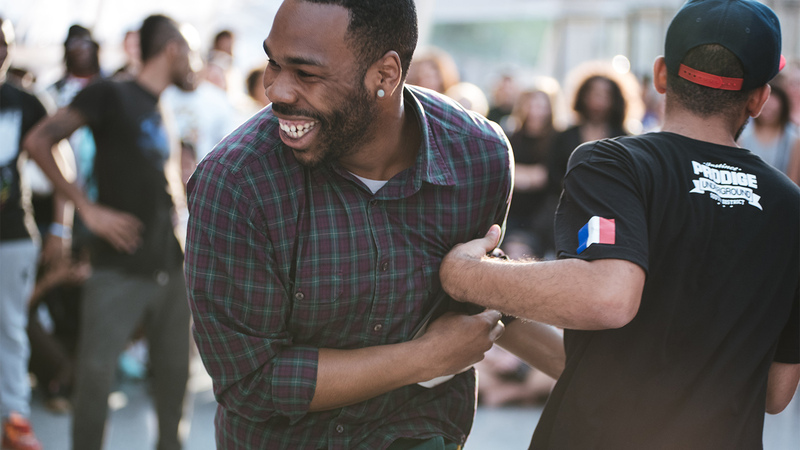 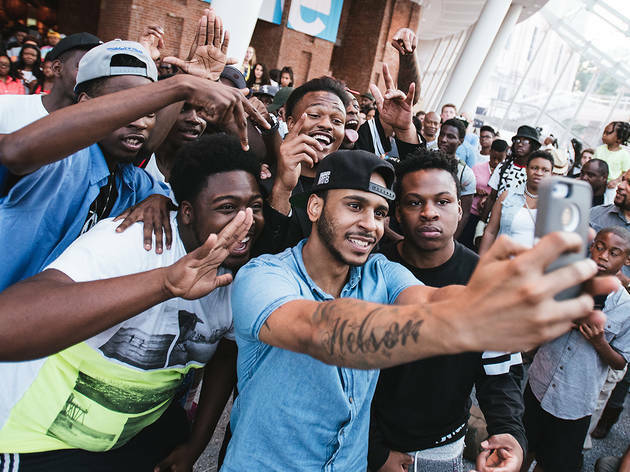 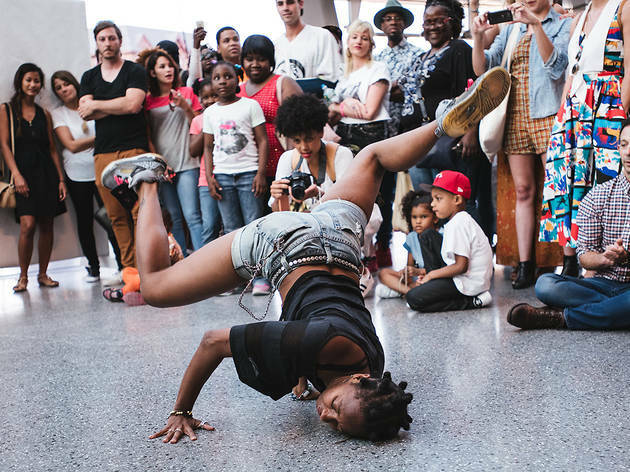 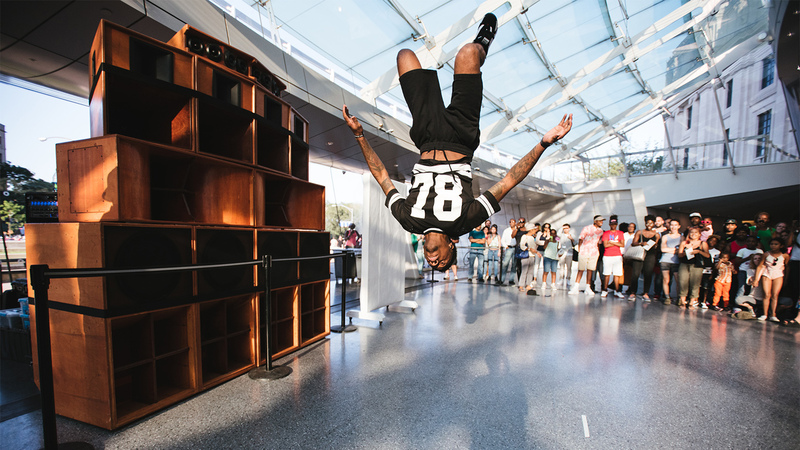 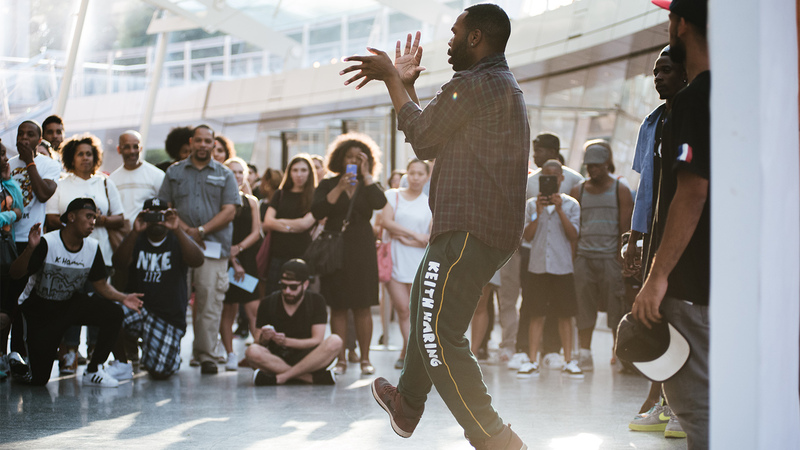 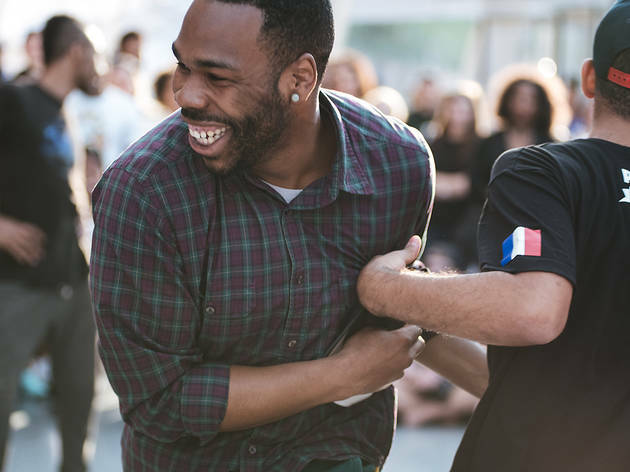 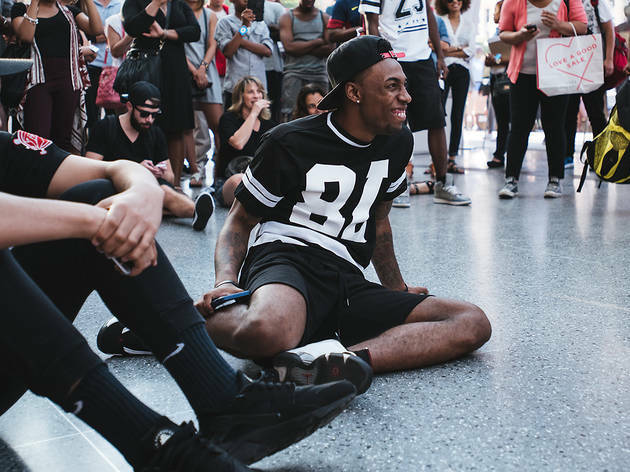 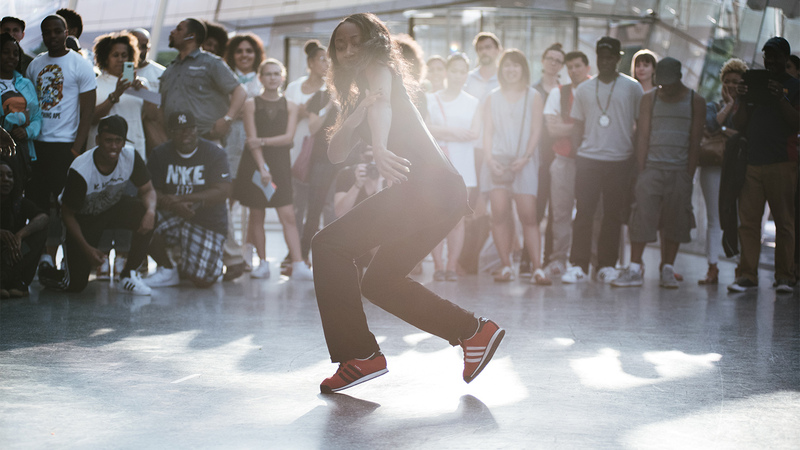 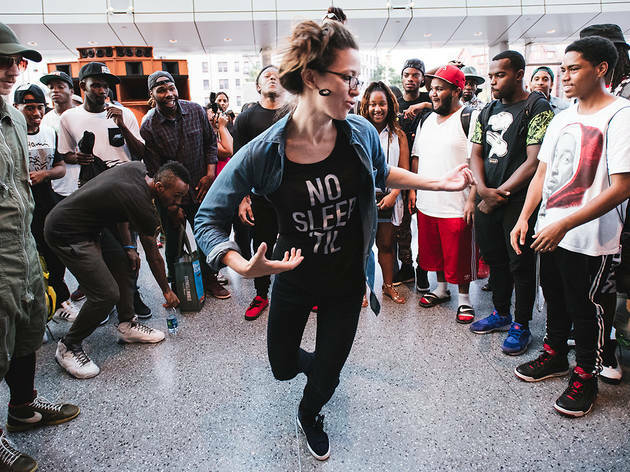 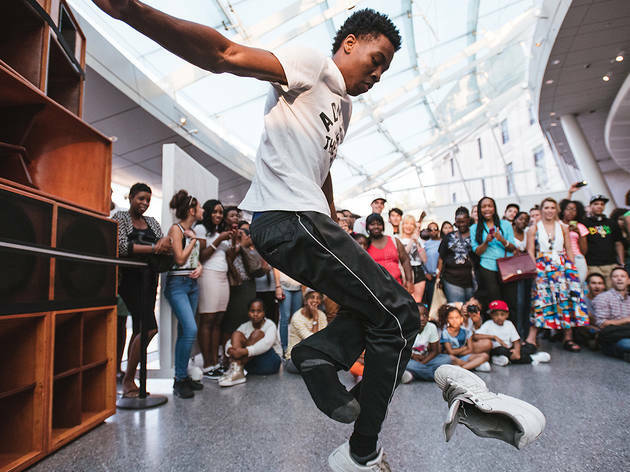 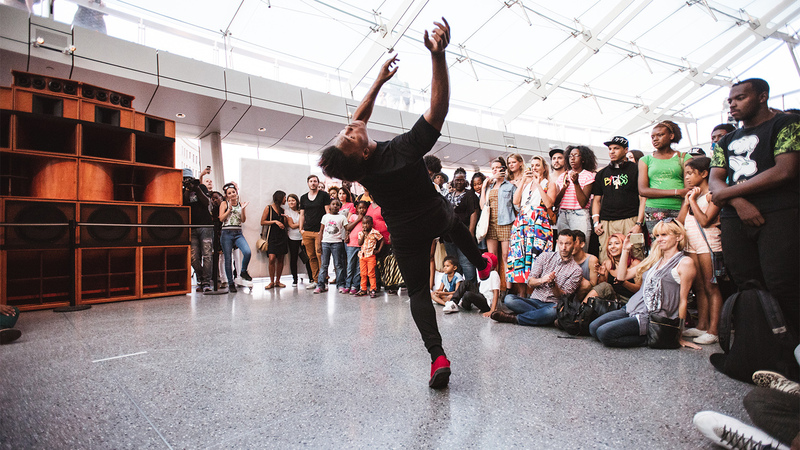 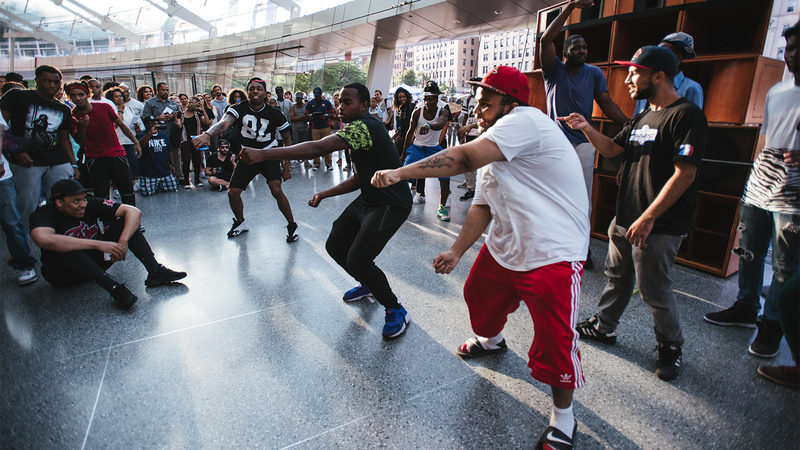 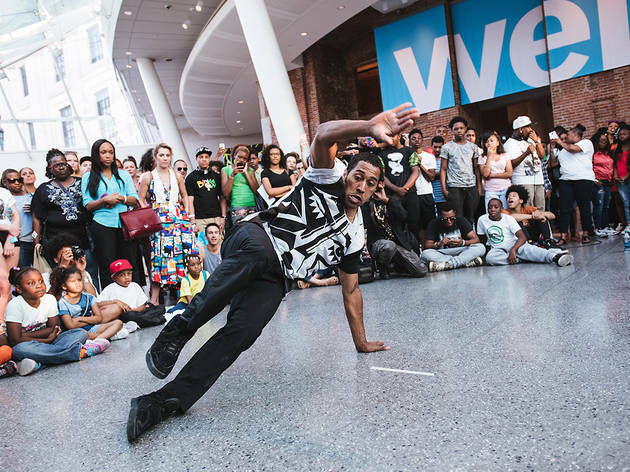 The Brooklyn Museum, one of the top attractions in Brooklyn, turned up the volume in celebration of their Rise Of Sneaker Culture exhibit by hosting a dance off. 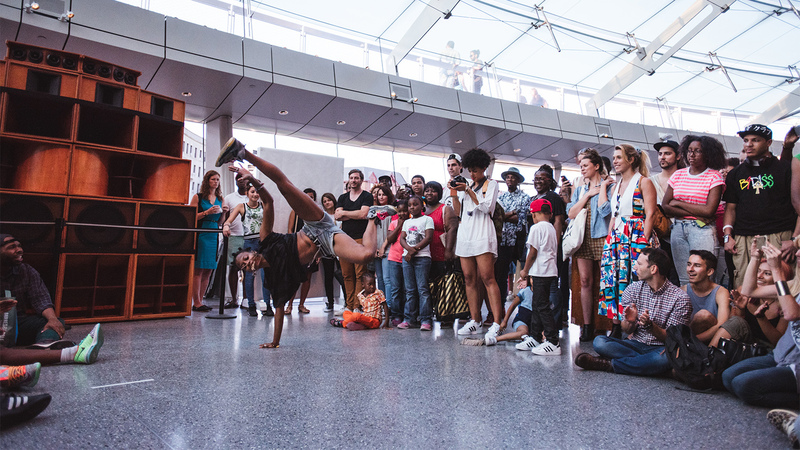 For about an hour, the sundrenched lobby was the sight of various flips, kicks, spins and hat/shoe tricks. 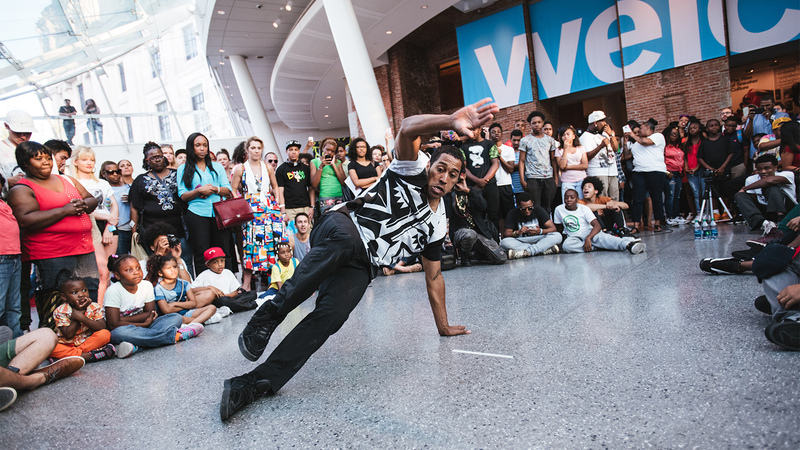 MC'd by Aaron Francois from Brooklyn based media and arts organization Mindlezz Thoughtz, the event served as a platform for emerging young artists to strut their stuff. 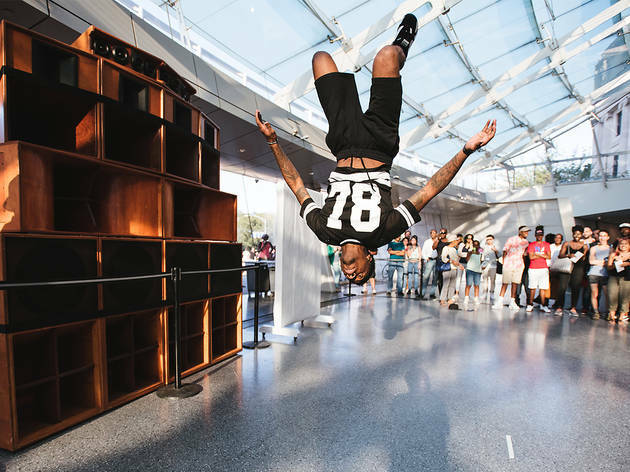 By the end, spectators, who may have originally intended to browse some of the museum's 100 best paintings, jumped in and busted out their own moves.